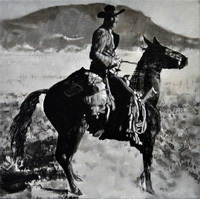 "My arrival in Montana in 1982 brought me into intimate contact with some of the most storied places of the historic West and also gave me the opportunity to study the paintings of two of the most influential codifiers of western imagery, Frederic Remington and Charlie Russell. I became aware of how decisive an effect their work, and the work of other western illustrators, had on the formulations of filmmakers like John Ford, William Wyler, and Howard Hawks. At the same time, I recognized how distinctly different the formalized imagery of western films, in its temporal, technological, and theatrical mediation, is from any painting." 2018 Gordon McConnell: When the West Was Won, Northcutt Steele Gallery, Montana State University, Billings, Montana. Catalog available. Resounds: Arts and Culture on the High Plains. Leanne Gilbertson interviews Gordon McConnell on Yellowstone Public Radio (listen). 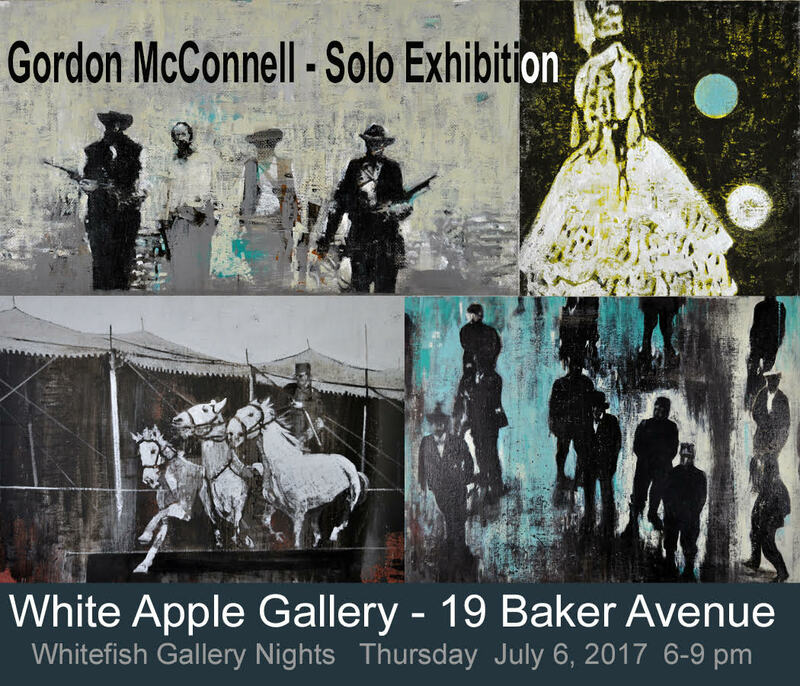 2017 Recent Paintings by Gordon McConnell, White Apple Gallery, Whitefish, Montana. © 2019 Gordon McConnell. All rights reserved.